Skin is in. Straubmueller's leather goods hang out at her launch party. Dallas has a new designer to boast about. Susie Straubmueller debuted her eponymous handbag label last night, and the clutches and top-handle bags in luxe skins were among our favorites we have seen recently. Stylish girls like Khanh and Nini Nguyen and Darby Hull browsed Straubmueller's exotic bags while snacking on lobster and lamb in the designer's Highland Park home. 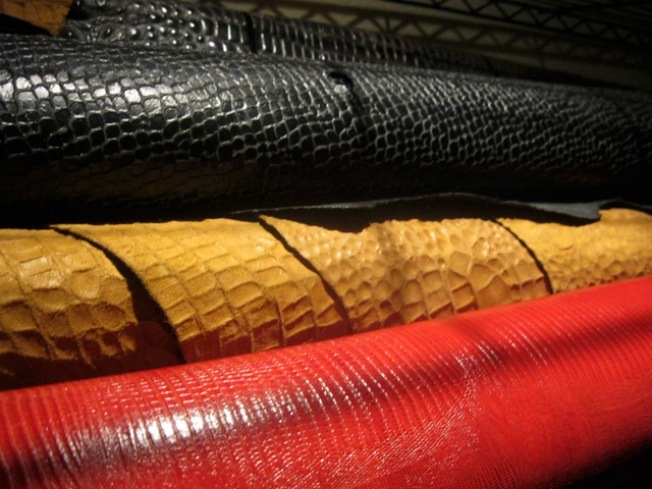 Guests exclaimed over the ostrich, python, and alligator bags and at least two shoppers took home more than three bags apiece. We suggest you get on the waiting list now. Our favorite from the collection was the boxy, candy-apple red natural python bag; the ladylike shape and elegant detailing on the small shoulder bag was worthy of its price tag. 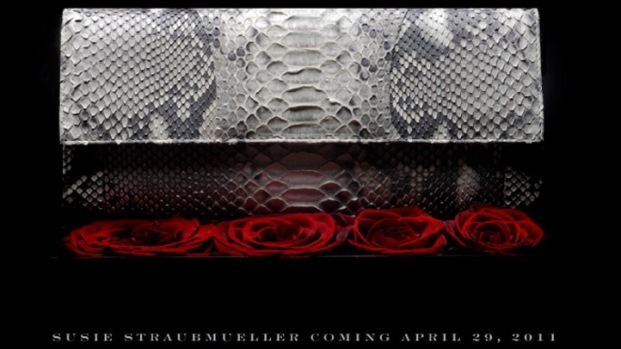 Shop Straubmueller's bags by appointment. Be among the first to check out her new label by connecting with her online via her website and social media outlets.